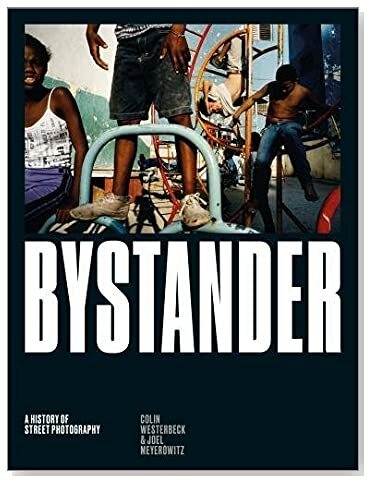 Book Review Bystander: A History of Street Photography By Colin Westerbeck and Joel Meyerowitz Reviewed by Blake Andrews Bystander is required reading for all street photographers. If you're relatively new to the street game and/or you do not own an earlier edition, this book should be in your library, period. If you're an armchair street shooter exploring the genre or searching for historical context, or just a photo buff looking for an entertaining narrative, this book is for you too. Text by Colin Westerbeck and Joel Meyerowitz. Bystander: A History of Street Photography. Street photography is the red-headed stepchild of the photo world, often maligned or dismissed by reputable galleries and museums. Even within the street photography community, there is discord. Territories are staked out. Arguments and cliques abound. The very term street photography is rejected by many of its practitioners, including Garry Winogrand himself. If the whole enterprise seems rather uninviting, that's fitting. Anyone who has wandered an urban sidewalk peering in on private scenes quickly realizes that alienation is integral to the art. But despite its outsider status — or maybe because of it? — street photography's popularity has exploded in recent decades. Its simplicity attracts all comers — no props, assistants, studio, or planning necessary; just walk out the door and you're ready. In fact, one can hardly walk three blocks in Manhattan without bumping into another Leica-toting flaneur. In other cities, they cluster even thicker. The digital revolution has poured fuel on the fire. Topnotch cameras and an online support network are now widely accessible, along with a small cottage industry of street photography workshops, festivals, clubs, and guides. If you'll pardon the expression, street photography is in the midst of a decisive moment. 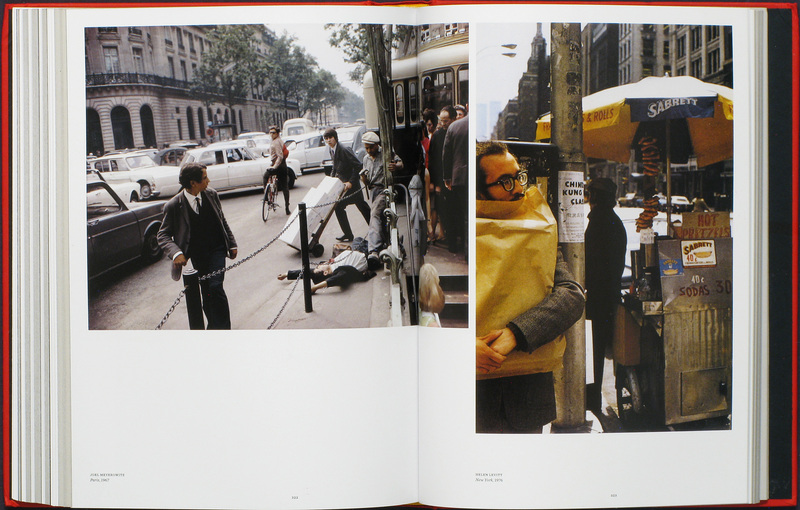 Bystander: A History of Street Photography Text by Colin Westerbeck and Joel Meyerowitz. Laurence King Publishing, 2017. The movement has grown so quickly it threatens to outstrip its own foundation. The last major tome to tackle street photography from a historical perspective was published in 1994, just on the cusp of the digital revolution. I'm referring to Bystander, the magnum opus by Colin Westerbeck and Joel Meyerowitz. This is the book that put street photography — defined therein as "candid pictures of everyday life in the street"— on the map, and also on countless bookshelves. Its second edition in 2001 was a slight revision of the first. Together they came to be known as "the Bible" of street. As a historical text Bystander has never had any real competition. Oh sure, there's been a rush of street photography surveys published this millennium: Street & Studio, Street Photography Now, World Atlas of Street Photography, The Street Photographer's Manual, and so on. But these have been primarily concerned with the contemporary. None have given street photography the historical framework and academic study that Bystander did. The third edition of Bystander, fully revised and just published by Laurence King in London, comes not a moment too soon. Twenty-three years is an eternity in the digital age. I'm guessing there were fewer street shooters back in 1994, but it's hard to know precisely. Social media did not exist and records are thin. Let's just assume a lot has changed. The chore of catching us up to speed on interim events while affirming the chronicle of past ones, all amid the frantic momentum of a quickly evolving scene, is probably beyond the scope of any book. But Bystander takes a shot, for better or for worse. Let me cover the better part first. The main core of Bystander — a roughly chronological survey of European/American street photography featuring its key innovators, styles, and trends — remains largely intact. Here and there passages have been altered (notably on Frank's The Americans), and the original photo selection slightly re-edited. This is about 80% of the book. Throughout the entire book, the reproductions have been given a thorough scrubbing. The contrast and tonality of the monochromes are greatly improved from earlier editions, as are the saturation and fidelity of the color photos. With these rough edges newly burnished and the entire thing given a fresh layout by Atlas Design, the book feels lively and inviting. A few items have been added. First of all, there are many new photos added to the folios throughout the book. 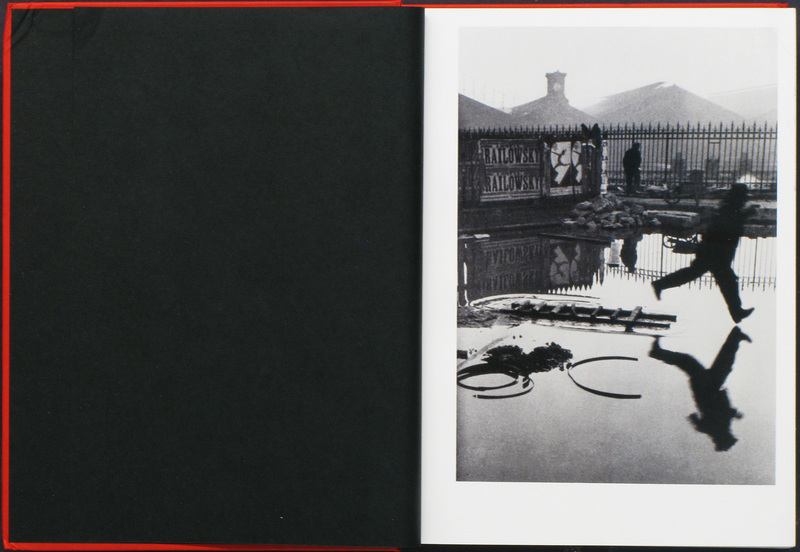 These folios, a facet of all Bystander editions going back to the first, are regularly spaced sections of twenty-plus pages with only photographs, no text. They are curated by Meyerowitz, and his choices are smart and enlightening. The historical selections are mostly monochrome and show a keen eye for B-Sides. Many of these images are obscure enough to jolt even the most jaded street connoisseur, making the book a treat to browse as well as read. Throughout the book, but particularly toward the later chapters, the folios have been expanded to incorporate contemporary shooters, especially those working in color. It's nice to see standard-bearers like Leiter, Mermelstein, Webb, Parr, and Gruyeart get their due here. Vivian Maier makes an appearance, as do monochrome stalwarts like Trent Parke, Jeff Ladd, and Peter Kayafas. That none were included in the canon twenty years ago tells how much has changed. 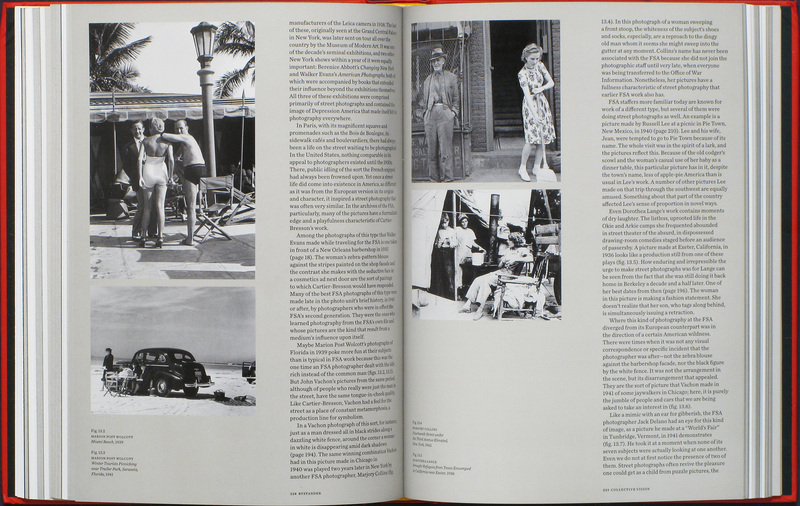 While Meyerowitz is responsible for the photos, Westerbeck tackles the writing, and he comes out swinging. His excellent lead essay, “Now and Then: In Defense of Traditional Street Photography,” places the genre in a contemporary context of post-modernism. As the chapter title implies, Westerbeck is not a post-modern fan, at least as it relates to street shooting. DiCorcia and Wall? Pretenders to the throne. He lambasts Doug Rickard and Michael Wolf as "practitioners of Googledy Gawk." Poor Doug Rickard, so lost he suffers from "an inability to distinguish between what he does and real street photography." Paul Graham's "inherently uninteresting" street photos suffer from "utter blandness." By the time he gets to Beat Streuli —"generic"— and Baldessari —"a detached analysis of photography itself"— it's open season on the so-called post-modernists. For Westerbeck, they represent "the dullness of life theorized about rather than experienced." Westerbeck contrasts this approach with that of the traditional street photographer enmeshed in boots-on-the-ground observation. His description "at once joyous and jaundiced… a state of heightened consciousness" roots street photography in the experiential. Photographers of this type are probably the primary audience for this book, and they'll want to pull up a seat with some popcorn as Westerbeck repels the post-modern invaders. The subtext to Westerbeck's thesis is that many of the facets driving street photography's current popularity — its simplicity, accessibility, honesty, and open-ended motivations — run counter to prevailing art world trends. But street photographers don't need a book to know that. Alienation comes with the territory. The other new writing is the end piece, “The Conversation Continues,” a transcribed dialogue about street photography between Meyerowitz and Westerbeck. This is an extension of a conversation that appeared in the original editions. The discussion ranges naturally from topic to topic the way conversations do, touching on new photographers of interest, old ones like Maier and Arbus, and where all this street photography business might be headed. I suppose it's meant to bring readers up to date. But the scope of any such conversation is necessarily limited, and one is left wondering as much about all the things that weren't covered as those that were. It's here that Bystander runs into difficulty, for a lot is left uncovered. Indeed, wide swaths are missing completely. Where to begin? There is no flash photography shown after Weegee. Nary a mention of Instagram, Facebook, or Flickr. The Japanese, who've pioneered enough street photography to fill several history books, are nowhere to be found. There's scarcely a peep from Greece, Thailand, Israel, India, Poland, or any other street shooting hotspot. There are no photographers from South America or Africa, and just a single photographer (the wonderful Raghubir Singh) from Asia, a continent that a majority of humans currently call home. 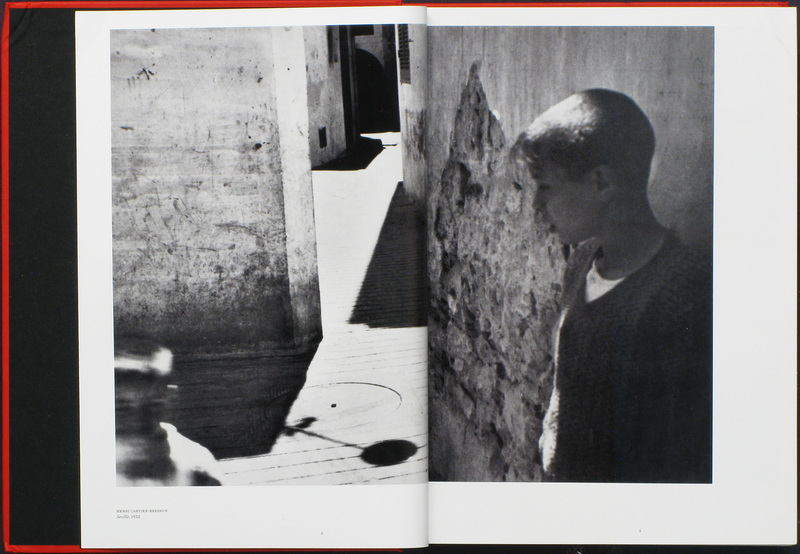 Roy DeCarava gets a brief mention in the text, and a handful of women manage to place photos in the book. But beyond that Bystander is essentially a Eurocentric, white male survey of available light. 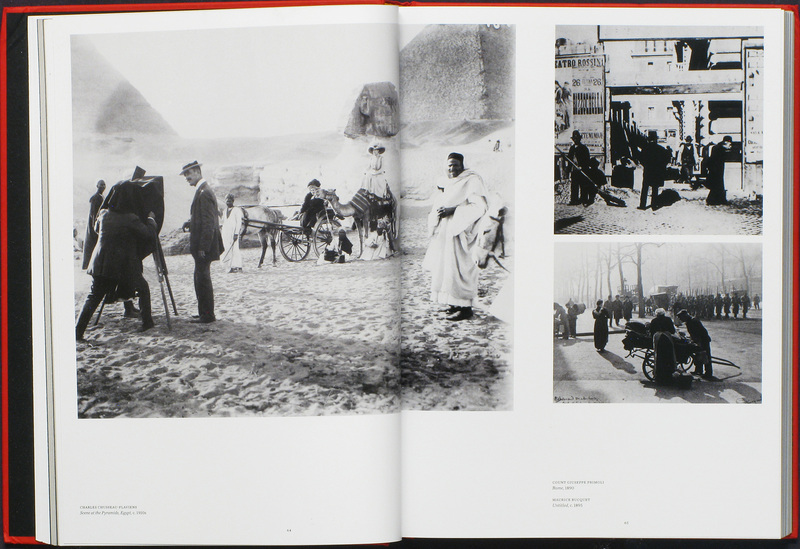 If the book were subtitled A History of Street Photography in Europe and the U.S. it would be no problem. 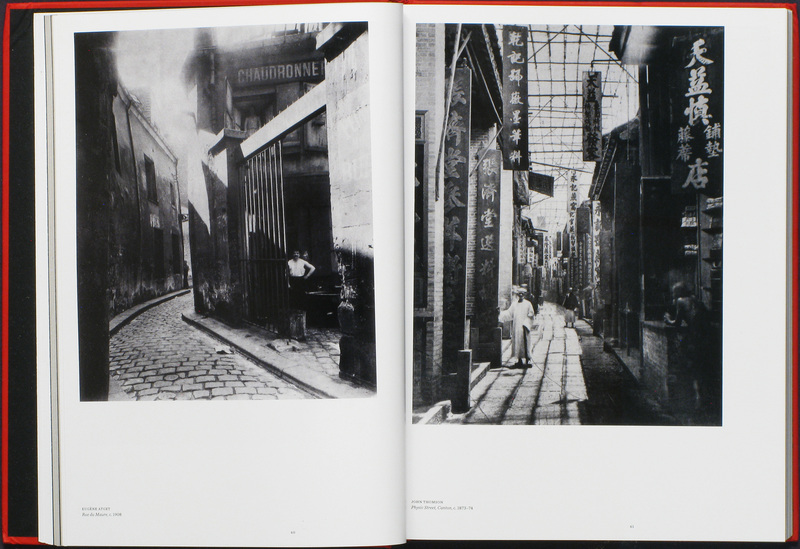 But the actual subtitle, A History of Street Photography, promises more — too much, as it turns out. I don't want to get bogged down in identity politics. Let it take a backseat to Meyerowitz and Westerbeck’s unquestionable expertise. Westerbeck is "the acknowledged foremost expert on street photography," if you believe the jacket blurb. But their blind spots are glaring. I think the authors would freely admit they don't have their finger on the pulse of this increasingly global phenomenon. Street photography has become accessible to all and practiced by all, and that is its huge potential strength. That the book's recent update does not reflect this fact feels like a missed opportunity. 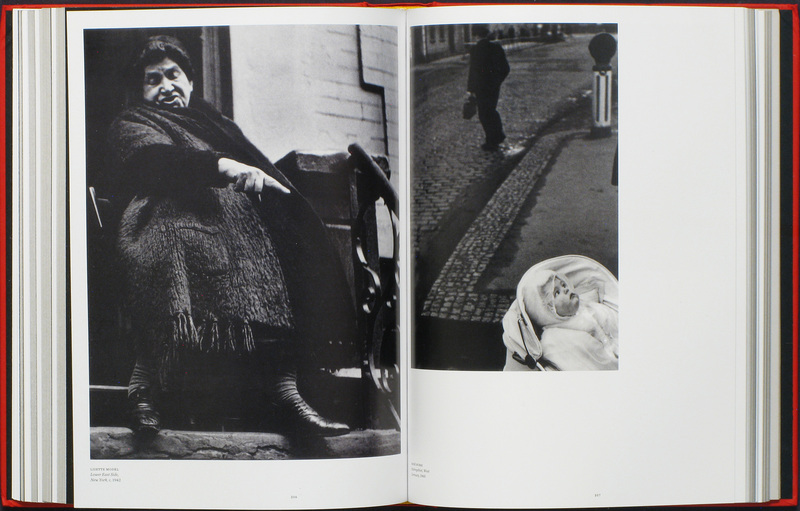 Faults aside, Bystander is required reading for all street photographers. If you're relatively new to the street game and/or you do not own an earlier edition, this book should be in your library, period. If you're an armchair street shooter exploring the genre or searching for historical context, or just a photo buff looking for an entertaining narrative, this book is for you too. Heck, the photographs alone are spectacular enough to justify a purchase. For street shooters who already own an earlier edition, the equation is murkier. The fact is, assuming you can find your tattered copy amid the clutter of your old film binders, you already possess most of what's in this third edition. What you're getting extra is two nice essays and a new portfolio of recent street photos, all in a slicker package. The latest edition presents a familiar modern dilemma, the one you face every day on your smartphone. Do you upgrade or do you stay put? Do you join the fray? Or do you wander alone as you were, happily alienated?